I called Mike during a house renovation which needed hardwood flooring repaired due to interior walls being removed and the entire house sanded, stained and finished. His prompt response, attentiveness and confidence in his work was a relief. He delivered on time and as promised. The final product was much more than I expected! I'd highly recommend Mikes Hardwood Flooring without hesitation. Professional, friendly and honest service is 5 STARS across the board! Keep up the great work! Had Mike and his team install new unfinished hardwood floors in our kitchen, sand everything, and finish with a natural color. Our original floors were 30 years old and look exactly like the brand new boards they installed! It looks better than we could have imagined. I had many different companies come to our home and give us quotes. Mike was the most readily available, most flexible, and one of the most affordable. He answered all our questions honestly and was very personable. I would highly recommend Mike and his staff as they do an extraordinary job! We had Mike install hardwood in 4 bedrooms. I could not be happier. His team and Mike (He is on the job site) did a beautiful and professional job.I also had an area that a column was removed down to the sub floor and needed new hardwood installed into the hole that was there . Mike pieced in a repair to my existing hardwood and it is barely visible. I had all the rooms painted before the install and he and his team were very careful not to damage any of the newly painted rooms. Mike is also a very friendly man and is always smiling. In my opinion this is the team to use, you won"t regret it. AAAA ++++ Beautiful Job! Found Mike through an online search and so glad we came across his company. He and his team did incredible work in the time that he estimated. Gave us honest estimates for sanding and refinishing vs replacing the hardwood flooring altogether. We decided to refinish. I've heard horror stories about the mess this can cause, people fighting the sawdust even months later. This was NOT our experience. His system was very clean and the floors looked better than we had hoped. We even added another job for him in another room to remove carpet and install new vinyl gym flooring. Again he and his crew did an immaculate job, and fast. Floor was completed in one day!! We will definitely use his services again for any flooring needs. Initially I was a little wary that he did not have a storefront but he was excellent with communication and I never felt that he was not accessible. Such a great experience from start to finish. My only regret was not taking more photos of the process to show the dramatic change. Family and friends were very impressed! I highly recommend this company without reservation. Mike was very responsive when I contacted him for a quote and with scheduling installation. His installers were courteous and professional. Mike and his team took great care to ensure I was satisfied with the install. I definitely recommend calling Mike. We installed a floating floor in a basement. Mike installs hardwood and engineered flooring. We we're very pleased with the install! I hired Mike to refinish some scratched and faded but high quality 4.25" red oak floors and install new flooring to match in the living room. My floors are stunning! I love them and I'm very glad I found him. Mike and his crew did an excellent job putting hardwood floors in our home. They were energetic, courteous and a hardworking crew. When we weren’t sure about the color of the stain, Mike had his man make a special trip to our home to sand and stain a portion of the floor so we could see what the color looked like. We live in the country and there were never any complaints about the long drive. He also put hardwoods on 2 flights of steps. The one set of steps was leaning downhill. Mike took the extra time to shim and make the steps level. We can’t say enough good things about Mike and his crew! These guys did a beautiful job. They relocated all the furniture to a POD, did a perfect job of sanding and applying a satin finish, installed 1/4 round molding on all floors, and carefully replaced all the furniture. I would recommend them to friends and family and use them again myself. We had water damage in two areas and were told we'd need to refinish our whole 1st floor in order to blend. Mike said he would refinish it if thats what we wanted, but also told us that he could match the floor and replace the damaged wood, and save us money. He did just as he said he would. Matched perfectly. You can't tell where new vs. Old join together. Mike is very friendly and professional along with his crew. He will be on my recommendation list to anyone who has flooring needs. Thank you Mike and your crew for an awesome job! Mike transformed my house into a home in 4 short days! Not only did he refinish the entire house but was also tasked with installing a kitchen floor to match my 80 year old floor. He did it so seamlessly you could never tell the difference. He has the magic touch when it comes to flooring! We had hardwood installed into our living room to match up with existing flooring in the foyer. I knew Mike was a true professional when he insisted that cutting out existing boards and weaving the new in to appear as one continuous piece of flooring was the way to go. I was prepared for other options, but Mike wasn't looking to just get in and out. While other companies had quoted additional costs to weave in the new, this was included within his installation cost which is the best that I had found. We have future plans to continue the hardwood throughout the first and beyond and will definitely look to Mike's Custom Flooring to complete the work. Michael and his crew were awesome! Never have I seen any contractor work so hard on such a difficult repair and replace job, get the job done quicker than promised and produce a floor that looks absolutely amazing. I would recommend Michael to anyone thinking about repairing or installing a new floor!! Mike and his guys were very educated about hardwood floors and helped me take care of my issues with good attitudes and professionalism . I will call Mike and his crew every time I need something to do with hardwood floors hands-down ! I very much appreciate you guys working with me and taking care of my customer! I originally had Mike's Custom Flooring install hardwood flooring in my rancher in 2000. He used high quality wood and finishing giving my floors the appearance and effect I desired. He also had the main level of my rancher done within 3 business days. I was truly appreciative of his no haggle, reasonable quote. 16 years have gone by and I needed to complete another sizable project that required more wood flooring. Mike again offered reasonable prices and turnaround. Utilizing the same high grade of wood and finishing. His presence onsite also added to the reassurance that the job would be done correctly the first time. Very professional, experienced and competent team of installers. I have to say that Mr. Butler and his crew did a wonderful job in my home. Mike took the time to explain and help me understand the process. I was so comfortable with Mike and his crew. My wife and I went on to work allowing Mike to take care of our home. Mike took the time to call me with a report informing us they were done and securing our home. I gave him a credit card over the phone and we were done. When my wife got home she was very happy with the end result. Feels like a new home for a fraction of the price. Thank you Mike and your awesome crew. 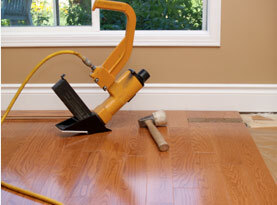 Mike's Custom Flooring, Inc. does THE BEST flooring! Michael is very honest. He and his crew are awesome and VERY hardworking. They are very punctual and they do the job right the first time! They do beautiful work, and I would recommend them to anyone!!! I called several companies to come and give me an estimate. Mikes Custom Flooring stood out compared to the others. I just got the vibe that Mike was an honest and hardworking guy. His timely response to my email and estimate was very professional. His crew's work was impeccable. I was so satisfied that I extended the down stairs hardwood installation to the whole upstairs and stairs. I love my new floors. You will not go wrong with Mikes Custom Flooring.....trust me. Mike just finished installing new hardwood floors on our main level after a water leak. He was great to work with and was one of the few contractors I have ever worked with that was there when he said he would be and worked hard all day. He was helpful in picking out the flooring we used. We are thrilled with the finished project and would highly recommend Mike. Mike and his team recently installed hardwood floors in our home. He did an excellent job. We are thrilled with the outcome! The wood looks beautiful and high quality, and they did a fantastic job with the installation. It looks great and we couldn’t be happier. It was a difficult process for Mike in that we had other work going on in the house, and had to postpone the floor installation a number of times. But he readily accommodated our situation with a cheerful attitude. We would definitely recommend Mike and his team! Mike is one of the most responsive, efficient contractors I have ever had the opportunity to work with. Mike responded quickly to all of my Wife and I's questions regarding timeline. One of the best aspects of Mike's services is his insight on where to look to find the best flooring for your situation. After carefully reviewing the options, Mike's crew was nice enough to lay out sample patches for our decision as well. Timely, efficient, great finished project. Cannot recommend highly enough. We are very pleased with our experience with Mike and how our floors turned out. He was very easy to work with and reasonably priced. For our house, we completed the first level with hardwood and wanted it to match perfectly with the existing hardwood, requiring a special order. The end result is beautiful and better than what we had expected. It is seamless. We also had to have it done over a weekend, and Mike and his team got to work fast and completed the job on time. We would recommend Mike without reservation and will be calling him back when it is time to remove the carpet upstairs. It is always a pleasure to deal with a professional. Mike, communicated clearly and promptly and met every commitment he made. He left me with a beautiful floor a few days ahead of my schedule. A pleasurable experience in every respect. Good people, good work good price. I needed to have new flooring added to existing flooring because of a remodel job and began my search for a local company. To my amazement, Nobody wanted the job, or they would not call me back or they were to busy. I found Mikes Custom Flooring through a review and called. He came right out within a day and within two days I had a quote and a start date. Although he was busy it worked out to be a great time to get it all done. They started the job and ended the job with out hassle, and the installers and finishers were great guys to work with. Friendly and down-to-earth, yet PROFESSIONAL and honest. Timely, competitive pricing and BEAUTIFUL work. I'll be using again for sure! Recently helped a client purchase a home where the flooring was an issue and nearly a deal breaker. Professional opinions ranged from "run away" to "just pull it all up". Mike came in and repaired and fixed this flooring and the poorly installed stair treads with such skill that he has earned my respect and business. He takes the time to do a job right and to your satisfaction. Shows up on time. Priced exceptionally well. Super friendly attitude and easy to work with. I am a fan! Mike is such a great and honest guy he did my floors 14 years ago this past Nov. I told him what I wanted and without picking the floors out myself He put down exactly what I ask for and he just did my daughters floors in an old farm house they turned out beautiful. 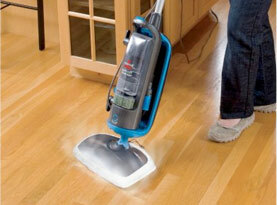 You won't go wrong by picking this guy to take care of your floors. Mike is a very good at doing his work and I would recommend him to anyone who needs any kind of hard flooring put in. He completed my house in a day and it was a good two maybe three day job. But him and his crew didn't just bust it out , they made sure it looked great and I'm sure that he would do it to yours to. Me, my, wife, and anyone who had seen the floors has loved them. So once again I would recommend Mike's Custom Flooring to anyone. Thanks for the floors Mike. I was looking for a flooring installation company in Winchester. Many of my friends and family have always used Mike's Custom Flooring Company and they said they are affordable and professional. I gave them a call and had them come out to give me an estimate on a floating floor installation. The price was excellent! I had Mike's Custom Flooring come out a few weeks later to do the install. It tuned out AMAZING! I would definitely recommend Mike's Custom Flooring to anyone looking for hardwood floor refinishing to hardwood floor installation or even a floating floor like I got. Thanks again Mike for your hard work! My wife and I recently bought a home in Round Hill VA and before moving in we wanted to have new floors put in. We contacted a couple different residential hardwood flooring contractors for estimates and were kind of confused about the nailed down, glue and floating floors. We decided on Mike's Custom Flooring Service due to the professionalism and ease of explaining our options. We actually found out later our neighbors had used them for engineered hardwood floor refinishing. 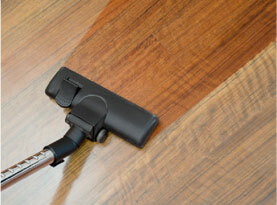 They were really impressed with the dustless sanding and restoration of their wood floors. Anyway, we scheduled a time for them to come out for the custom stained solid wood floor installation and medallion feature. They also replaced all the baseboard molding. They did an amazing job on the kitchen and living room hardwood floors - especially the stair tread and risers in our dropped floor and the custom border work along the edges. In the next few months we decided that we will have Mike's Custom Flooring out again to do the installation of laminate flooring in our home office and bedrooms. We would recommend Mike's Custom Flooring to all of our family and friends! Mike and his hardwood flooring contractor team first came to lace in some hardwood where we had taken a wall down. They were friendly, respectful and did quality hardwood flooring installation. When the job was completed, no one could tell where the new engineered hardwood met the old wood! The room was perfect. 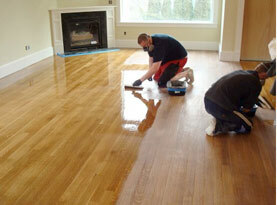 We were so impressed we had them back out for the hardwood floor refinishing in our master bedroom. We were worried about the dust but we really shouldn't have been because Mike's Custom Flooring Company used a special dust containment system that meant there was no mess. They even installed new taller baseboard molding which highlights the flooring really nicely. Top notch, finishes on schedule and prices are great! I've found my Winchester flooring team and will gladly recommend them to friends and family.